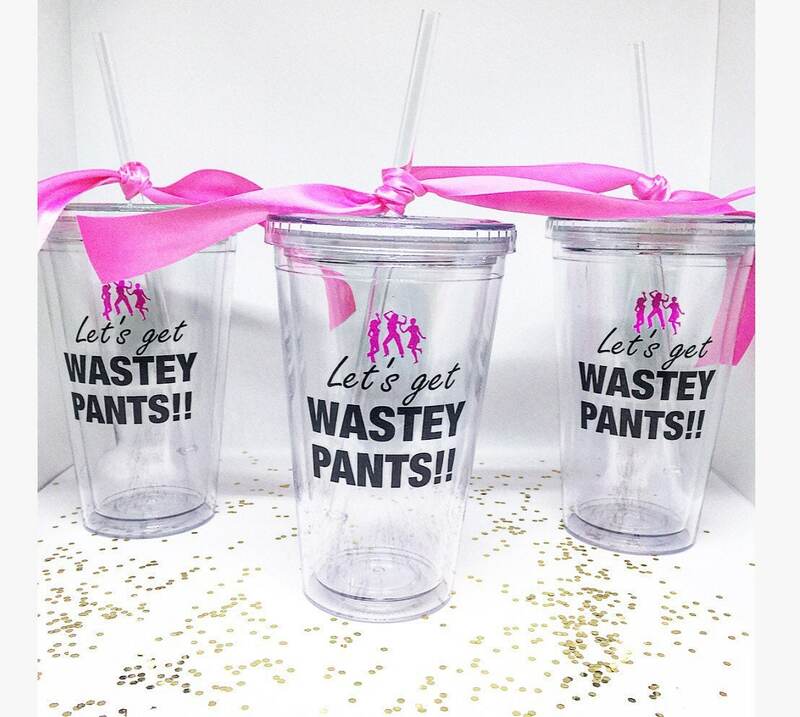 The perfect cups for bachelorette parties! Or just any party in general. 16OZ Clear Double Wall Plastic Tumblers with a twist on cap & straw. The double wall insulation feature keeps your drinks at the right temperature.